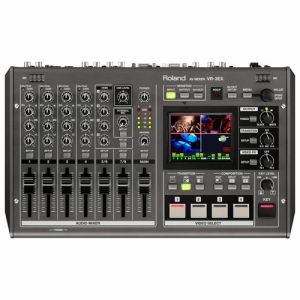 The Roland V-4EX 4 Channel Digital Mixer is an all-in-one SD video mixer with HDMI in/out, USB streaming out, and built in multi-viewer with touch control! 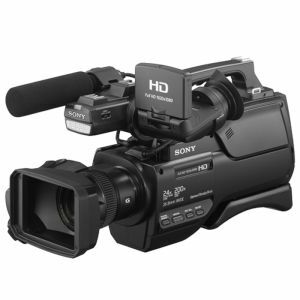 Quality video performance and web streaming in one! In addition to a number of powerful video effects, the use interface incorporates dial controls for effects on each bus and master output dial. Inputs one to three feature composite (BNC) or HDMI while input four accepts HDMI, RGB/Component or S-video. The output features scaled-up HDMI, RGB/component of SD composite with an additional HDMI output for external preview monitor. 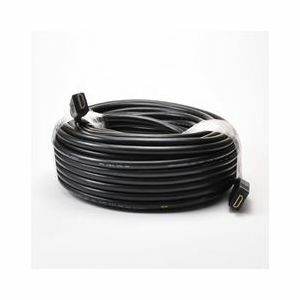 As a USB Video/Audio class device, web streaming is effortless by simply connecting to a computer and running a live streaming service. You can also record the output using Quicktime on a Mac. Designed to be a live production switcher and web streaming device, the Roland V-4EX features audio embedding, built-in audio mixer with up to 4 frames delay to "lipsync" your video source. HDMI inputs one to three accept video resolutions up to 480p/576p and HDMI input four accepts resolutions up to 1080p and RGB up to WUXGA (1920 x 1200). Although internal processing is Sd-based, the output can be scaled up to 1080p or 1920 x 1200.